Her name was Winona Marie Eads. She was a mother to six children and a grandmother to eleven. From the artifacts and objects left behind, one can imagine she led a full and interesting life. 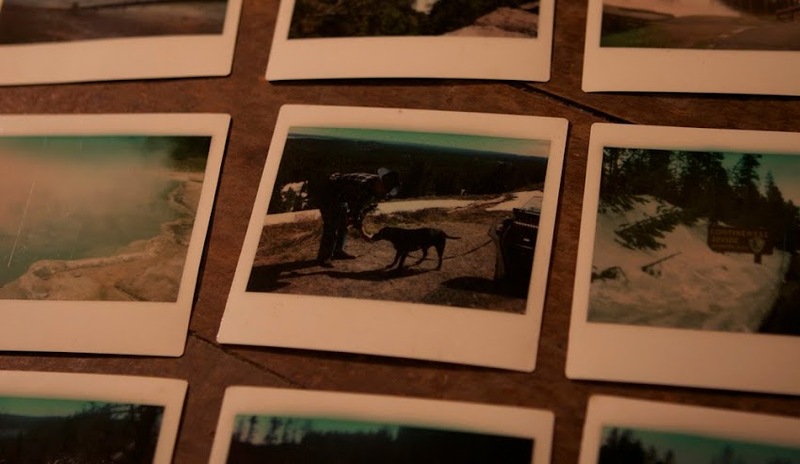 Leftover polaroids show her gallivanting around the world. 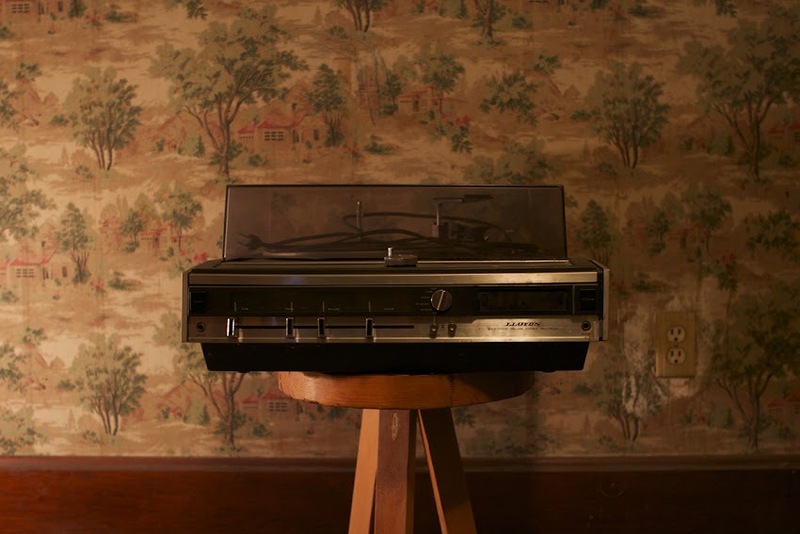 An old record player was in the hallway upstairs. 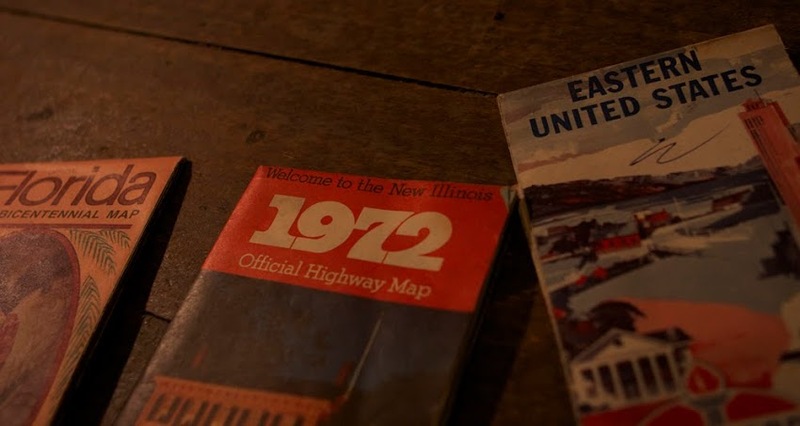 Tucked away in the attic were a vast collection of road maps from the Eastern United States and boxes full of stamps. In the back corner of the upstairs bathroom were cutouts from the travel section of the Chicago Tribune. Old sermons and hymnals were strewn around the living room and dusty mustard yellow curtains hung over the large windows in the parlor room. In her bedroom, the remnants of at least a dozen picture frames could be found, in all different shapes and sizes, their position clearly outlined by the contrast between the clean wall behind the frames and the dusty wall next to them. The neighbor on our left called her the kindest woman she had ever met. The neighbor across the street told stories of how Winona had tea parties with the young girl next door. She died in the summer of her eighty-third year, on August 4, 2011. She was the previous owner of the house we purchased on Fletcher Avenue. Sounds like a kindred spirit has prepared this house for your family! I love old houses and the tales that they tell, the connection between the then and now of renovating an old house to make it "yours". Enjoy the journey and may the "new" house soon feel like home to you all. I've never been in this house, but I know I love it. That wall paper is fantastic! Congratulations on a fresh start! Can't wait to see it!!! Sounds wonderful (even in the midst of all the work!). Love that the owner was such a sweet soul and that you are alike in some of your loves :). I'm so truly happy for you. God is Good! She died the same day T died. I don't know what happens after we die, but if it's something, i hope she knows and is playing with our children. Congrats on the house! I think its wonderful that you are remembering the history of Winona and her beloved space.